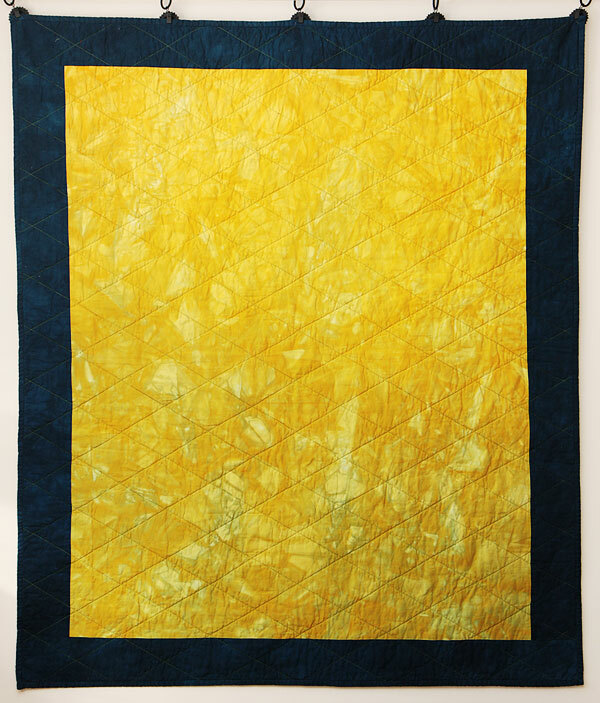 The Minneapolis Modern Quilt Guild brought Jacquie Gering in to teach a workshop on piecing hexagons by machine. It was a fun day! 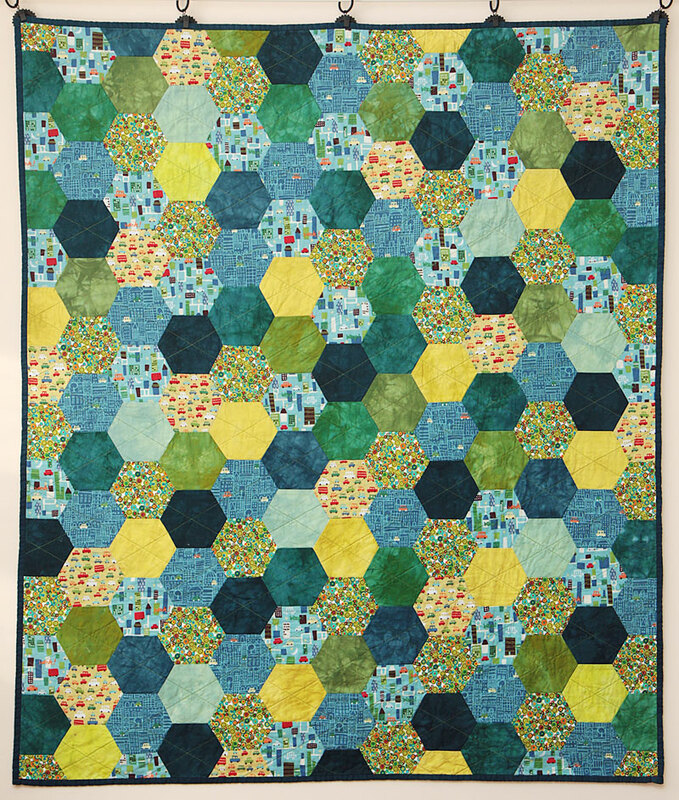 The hexagons are mostly kid prints, with some hand-dyed solids in there as well. The backing is one large piece of hand-dyed mustard-colored fabric. This wound up being the toddler quilt for my youngest son.